A poster and promotional material for the production of Handel’s Messiah, taking place at the new Knock Basilica and featuring the RTE concert orchestra. 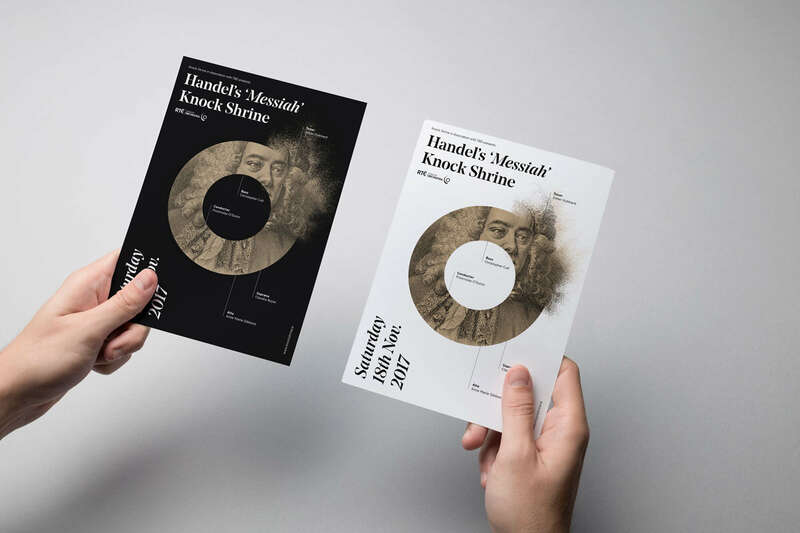 The concept for the design comes from the central circular performance platform within the new basilica which forms the central O shape of the main graphic along with the portrait of George Frideric Handel himself. The treatment of the image and the delicate lines within the design, along with the typography give a sense of the operatic occasion in a contemporary style. The design worked alternatively between a black and white background and it was used across all communications including programme, tickets, banners and website.